(197) Гири Иудеи. Weights of Judea. 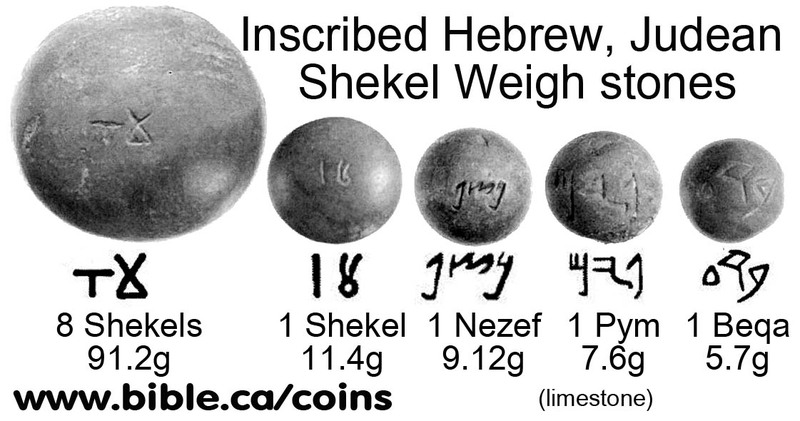 Here is a 2 shekel weigh stone. Judaea, 1000-500BC. 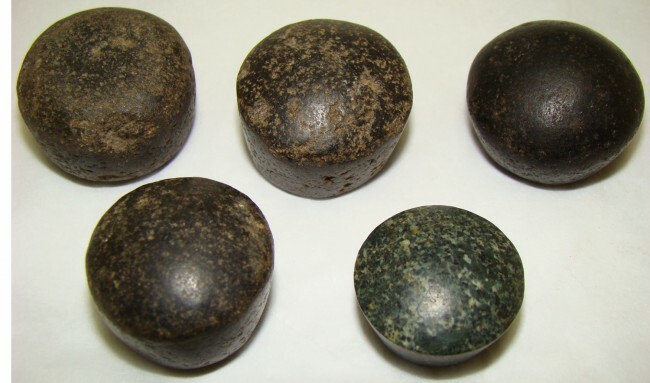 A lot of 2 domed hematite "three quarter shekel" weights. 8.01 and 14.10 grams. D: 2cm and 1.7cm. Each about 1.3cm tall. Judaea, 1000-500BC. 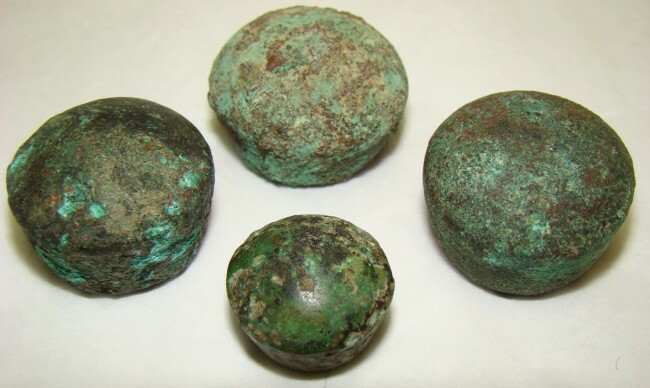 A lot of 4 domed bronze "qedet" weights of various sizes. 14.99, 45.40, 47.89, 51.2 grams. Size is 1.7cm-2.4 in diameter. Height is 1.2cm-1.7cm. All are nice with attractive green patinas. Judaea, c. 1000-500BC. 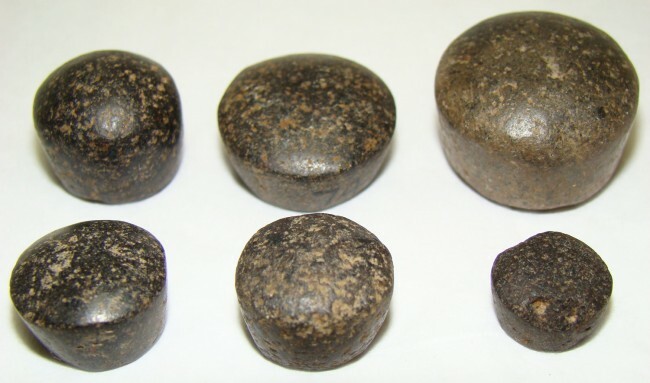 A lot of 5 domed hematite shekel weights of Judah. Weights are 9.48, 18.30, 18.34, 19.33 and 21.44 grams. Diameters are from 2.1cm to 2.6cm. Heights are from 1.3cm-1.7cm. Judaea, c. 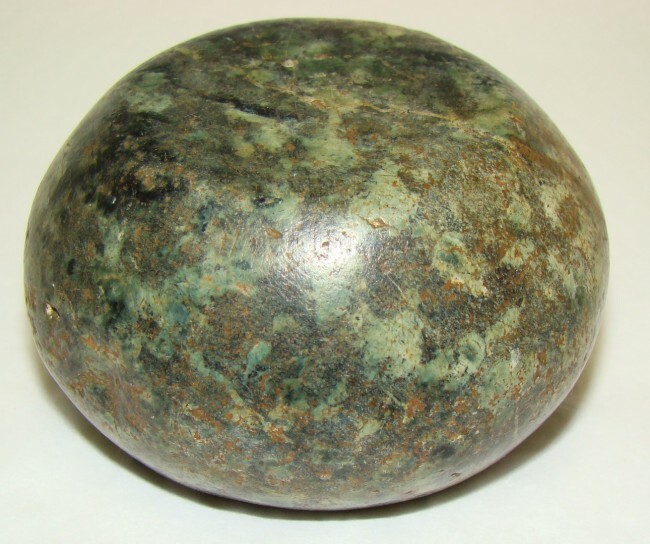 750-500BC., a greenish-black colored domed limestone weight that weighs 475.4 grams. Roundish in shape with 8 semi-flat sides. Could possibly be 1 Mina. Size is 2 3/8" x 2.5". Base diameter is 2 3/8". Judaea, c. 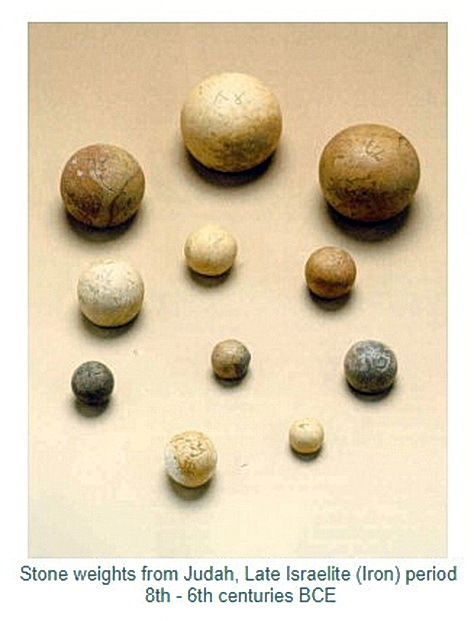 400-600BC., a lot of 6 small stone weights. The smallest being a ¼ qedet. The largest being a ½ qedet. 26.2 grams total of all 6 pieces. All dome shaped. Cp. Petrie and Hendin for similar types. 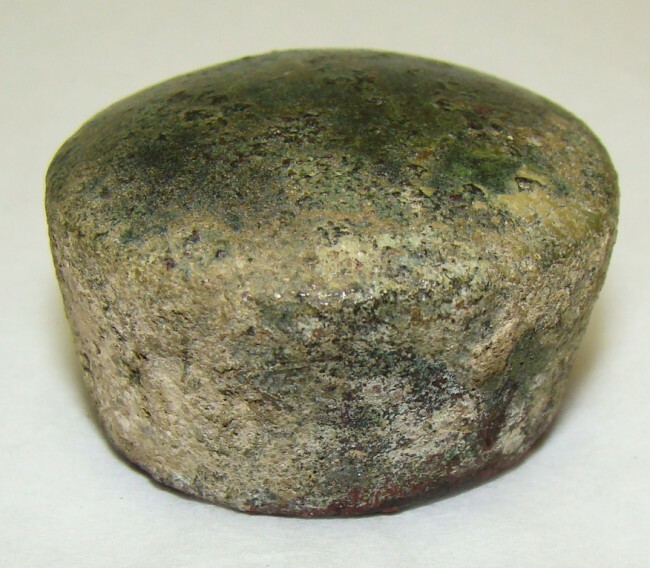 Judaea, 400-600BC., a green serpentine cupcake shaped stone weight. 94.4 grams, measuring at base 1.25", the equivalent of 1 deben. Cp. Ex. Malter Coll. And Petrie for similar types. Judaea, c. 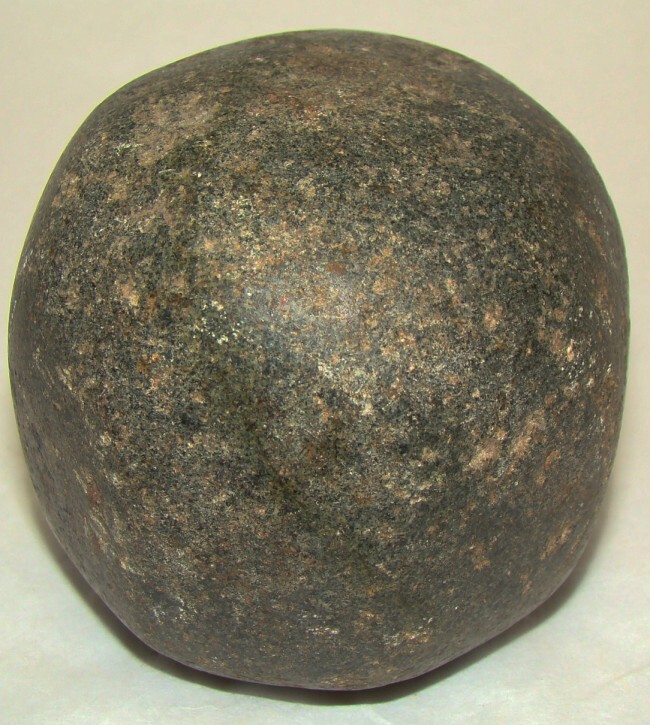 300-100BC., A mottled black and green colored granite dome (flattened top and bottom) weight 284.7 grams. Size is 2.25" x 1 3/8". Close to the equivalent of 24 shekels. Un-inscribed and in great condition. Judaea, c. 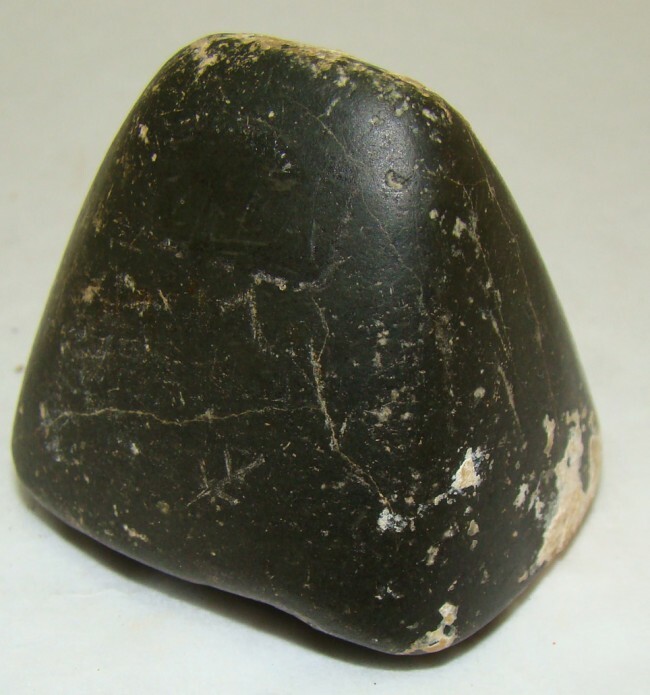 1200-1000BC., a black stone "8 Qedet" weight in 4 sided pyramid shape. Weight is 71.7 grams. Size is 1.5" x 1.5 x 1.5". Judaea, c. 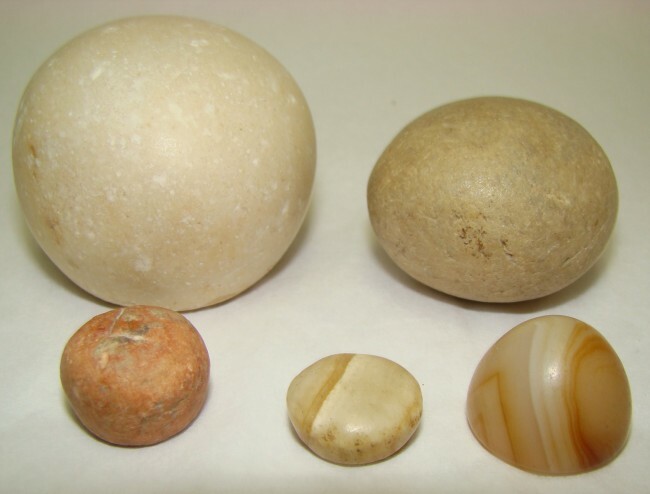 50-200AD., A lot of 5 weights, 3 are of stone, 2 are of quartz. The total group weight is 120 grams. 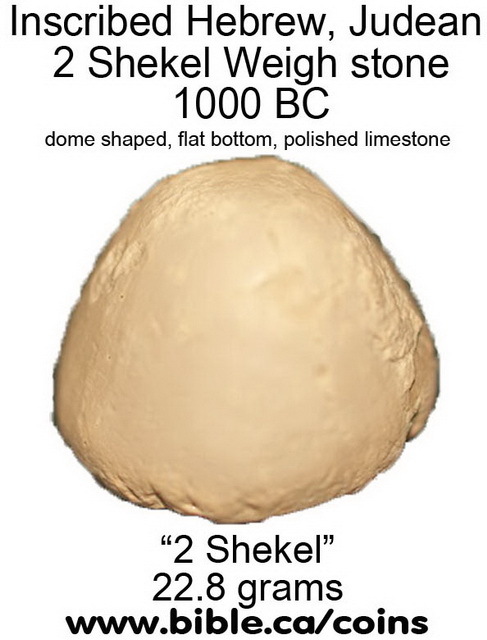 3 are dome shaped, one egg shaped with the largest be a cylindrical dome in shape. All are nice! Cp. Petrie for similar examples. Judaea, c. 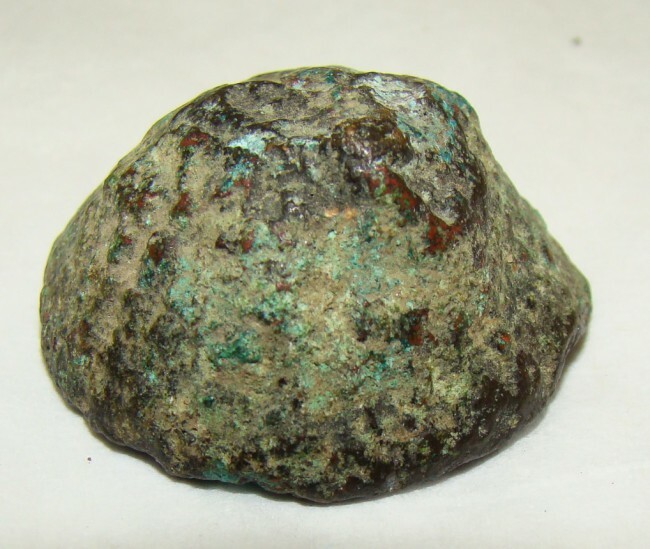 600-300BC., a bronze 4 qedet weight, domed shaped, weighting 38.1 grams. In fair condition. a 4 "Qedet" written on bottom in black ink on white.